When a marriage or a common-law relationship breaks down and there are children from that relationship, or biological children of either partner have been brought into the marriage or a common-law relationship, family law in Canada is most concerned with how will those children be provided for and cared for in future. The court believes that even though the parents will now be living “separate and apart,” they have a responsibility to continue caring for the children that they brought into the world. It is a subjective test where a judge has some discretion based on the facts of each case. All circumstances affecting the child are taken into account by the court before approving a parenting plan, or making a court order. The court does gives considerable weight to maintaining the status quo for children so there is minimal disruption to a youngster’s daily routine, schooling and relationships with friends and close family members. Similarly, the court pays particular attention to which parent looks after the children’s daily care and logistical needs: Who drives them to and from school or daycare? Who drives the children to activities such as piano or dance lessons, play dates or soccer practice? Who feeds the children? Who helps the children with their homework? The views and preferences of the child are a factor where their “views and preferences” can be determined. What plans are being made for the care and raising of the child. The ability of each person to act as a parent. The past conduct of the parents. In assessing a person’s ability to act as a parent, the court considers whether the person was violent towards their spouse or child, the parent of the child or another member of the household. However, an extra-marital affair is not considered relevant to a person’s ability to parent children. The permanence and stability of the family unit with which it is proposed that the child will live. The relationship between the child and each parent seeking custody – whether by blood or adoption. The length of time the child has lived in a stable environment. Older children such as “tweens” and teenagers have more say about which parent they would like to live with, and the court takes their views into account. Younger children have opinions too, of course, but the court also understands that they are more susceptible to things they are told by one parent that put the other parent in a bad light. 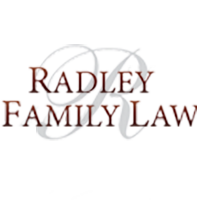 We at Rachel Radley Family Law can help you craft a solid parenting plan within your separation agreement because family is important to you.